Are you looking for a vehicle in the Middletown area that can handle all of life’s adventures–big or small? We have an unparalleled selection of new Chrysler, Jeep, Dodge, and Ram models in stock at Old Saybrook Chrysler Dodge Jeep RAM, from the popular Jeep Grand Cherokee to the All New Ram 1500. When you are ready to find your perfect match for the New London commute, visit our dealership near Niantic to take a test drive in your favorite CDJR model today! Why Choose a New Chrysler, Dodge, Jeep, RAM from Old Saybrook Chrysler Dodge Jeep RAM? The Jon Lorensen Advantage, which provides benefits like an extended warranty, a 10-day exchange policy, and even a ding repair within the first 90 days that you have your car! Our sales team is ready to get you behind the wheel of the model that best fits your budget and driving needs. Not only does Old Saybrook CDJR make car shopping a hassle-free experience, but we also ensure that car ownership is hassle-free! 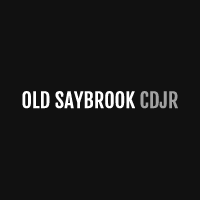 Stop by our showroom today, and take advantage of the Old Saybrook CDJR perks!